Bradley Holiday is the CFO of Zagg where he oversees accounting, business support, financial planning and analysis, treasury, internal audit, and tax functions. Mr. Holiday joined Zagg in July of 2015, having previously served on the Zagg board of directors. 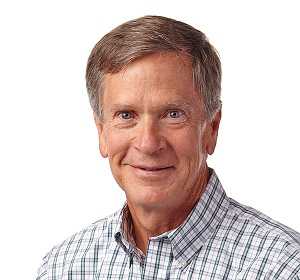 Mr. Holiday was the CFO for Callaway Golf Company from 2000 until 2015, where he was instrumental in helping Callaway rebrand its name and lead a strategic transformation. Prior to that, Mr. Holiday was CFO of Nike’s Golf Division from 1998 to 2000, and Nike’s retail division from 1995 to 1998 where he grew the division from $500 million to nearly $1 billion in revenue. Before Nike, Mr. Holiday served in various financial positions with Pizza Hut, Inc. and General Mills, Inc.
Mr. Holiday has an MBA in Finance from the University of St. Thomas and a B.S. in Accounting from Iowa State University.